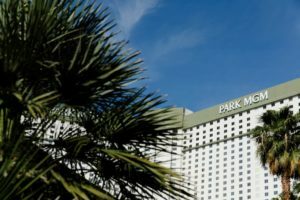 MONTE CARLO IS NOW OFFICIALLY PARK MGM: Monte Carlo officially shed its name with the lighting of new marquee and hotel tower signs and took on its new identity – Park MGM. The property-wide transformation, which is a partnership between Sydell Group and MGM Resorts International, is planned for completion later this year. When the project is finished, it will comprise two new distinct experiences: Park MGM, and a Las Vegas version of the renowned NoMad, a standalone 292-room hotel encompassing the tower’s top four floors, which is like the Four Seasons shared space at Mandalay Bay. Dining experiences to be added include a new Roy Choi dining concept and an Eataly marketplace designed specifically for Las Vegas. These dining experiences will join current ones: Primrose Restaurant located within the lobby; and Bavette’s Steakhouse & Bar created by the Chicago-based Hogsalt Hospitality. AMY SCHUMER SETS SERIES OF DATES AT THE COSMOPOLITAN: Amy Schumer and Friends will headline an exclusive series of comedy shows at The Chelsea theater inside The Cosmopolitan commencing Aug. 10 and 11 followed by performances Nov. 2 and 3. Tickets start at $59. Schumer is a current leading force in the entertainment industry as a stand-up comedian, actress, writer, producer and director. Last Saturday she hosted “Saturday Night Live” for the second time while her comedy “I Feel Pretty” is currently playing in movie theaters. QUEEN + ADAM LAMBERT WILL CHAMPION PARK THEATER: Surviving members of legendary rock band Queen and “American Idol” star Adam Lambert are set for a 10-date limited engagement of “The Crown Jewels” at the Park Theater running Sept. 1-22. Queen picked up Lambert as their powerful permanent front man after a performance of “We Are the Champions” on the eighth season of “American Idol” when he was a finalist. Tickets range from $79-$350. HEADLINING MAGICIAN JEN KRAMER WILL DEBUT AT WESTGATE: “The Magic of Jen Kramer” starring magician Jen Kramer will debut Wednesday, May 16 at 6 p.m. inside the Westgate Cabaret. This will make Kramer the only current female headlining magician in Las Vegas. 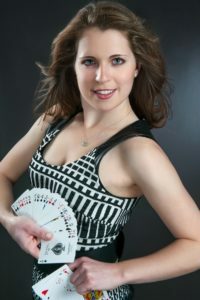 Named “Female Magician of the Year” by the International Magicians Society, Kramer graduated with honors in theater from Yale University and has been featured on “Penn & Teller: Fool Us” and “Masters of Illusion” on The CW Television Network. Tickets are $19.99 and $29.99. Kramer’s shows will be Wednesday through Saturday at 6 p.m.
HAKKASAN WILL HOLD BILLBOARD MUSIC AWARDS AFTER-PARTY: Hakkasan Nightclub at MGM Grand will host the official 2018 Billboard Music Awards After-Party following the award show on Sunday, May 20 with a special live performance by Post Malone. Texas-native Malone has 13 BMA nominations in 12 categories and his latest album “Beerbongs & Bentleys” is a hot release.The “2018 Billboard Music Awards” will broadcast live from the MGM Grand Garden Arena at 5 p.m. PT. 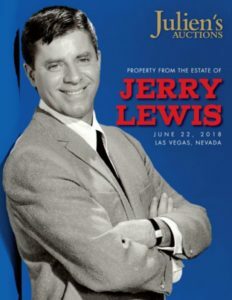 JERRY LEWIS ESTATE SALE WILL BE HELD AT PLANET HOLLYWOOD: Julien’s Auctions will hold a two-day Hollywood Legends auction event at Planet Hollywood on June 22 presenting Property From The Estate Of Jerry Lewis. The collection includes a stunning array of watches including a 14K yellow gold Le Coultre watch given to him by early career partner Dean Martin and inscribed “Jerry My Buddy/ and Pal/ I Love You/ Dino.” Among the wardrobe and props from his famous movie “The Nutty Professor,” there is a trio of vintage prop black frames including reading glasses with painted eyeballs on the lenses, a collection of custom funny teeth, and a tweed burgundy suit worn by Lewis in the film. ‘FIGHTERS ONLY MAGAZINE’ HOLDS WORLD MMA AWARDS® AT THE PALMS: “Fighters Only Magazine,” the world’s first monthly Mixed Martial Arts and lifestyle magazine launched in the UK in 2005, will celebrate its 10th anniversary with the World MMA Awards, a star-studded black-tie gala on Tuesday, July 3 taking place live from the Pearl Concert Theater at the Palms, just prior to the start of International Fight Week. Tickets start at $55. The magazine was created for fans who get to vote online to decide who takes home an award including: Fighter of the Year; Knockout of the Year; and Upset of the Year. GOLDEN RAINBOW PRESENTS ‘CHICAGO’ FOR RIBBON OF LIFE: Golden Rainbow will present the Broadway musical “Chicago” for its 32nd Annual Ribbon of Life at the Foundry at SLS on Sunday, June 24 at 1 p.m. Usually the fundraiser is a variety show; however, this year’s event will be presented in a new format featuring a full production of the Broadway classic. 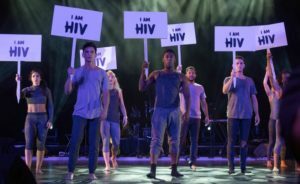 Before the show, there will be a red-carpet reception and silent auction beginning at 11 a.m. Tickets start at $45 with proceeds benefitting Southern Nevadans affected by HIV/AIDS. Entry is $25 at the door or $20 in advance through the Golden Rainbow website. 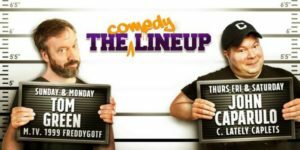 THE COMEDY LINEUP RECRUITS JOHN CAPARULO AND TOM GREEN: Comedians John “Cap” Caparulo and Tom Green are now The Comedy Lineup regulars at Harrah’s performing 10 p.m. shows. Caparulo is Thursday-Saturday and Tom Green every Sunday and Monday. Tickets start at $36.99. Caparulo is known as the “under-dressed everyman” and presents a sarcastic and often self-deprecating view on topics such as marriage and fatherhood with a quick-witted approach to reflections on daily life. Green is recognized for his uncensored rants on everything from the economy and politics to the pitfalls of social media and technology with a sharp wit and “anything goes” attitude. He incorporates videos and music into his act. LAS VEGAS MONORAIL HOLDS ‘SOUND CHECK 3’ SILENT RAVE: The world’s only silent rave aboard the Las Vegas Monorail will return for the third installment of “Sound Check 3” taking place on two trains on each of two consecutive nights from 6 p.m. to 2 a.m. Night One – Thursday, May 17 will feature a “90s Underground Rave” theme. Night Two – Friday, May 18 will have a “Fear and Loathing in Las Vegas” theme. Participants for the on-train private disco dance parties wear headphones that tune into DJs spinning tracks. Harrah’s/ The LINQ Monorail Station is where guests exchange their donation and driver’s license for Sound Check 3’s special wireless headphones. Event proceeds will be donated to the National Association of the Deaf. 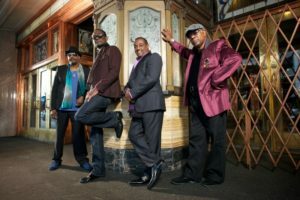 MYRON’S CABARET JAZZ IS AN INTIMATE SETTING FOR MUSIC: The June lineup of performances at the 240-seat Myron’s Cabaret Jazz at The Smith Center is once again impressive. The month will lead with Ariana Savalas, daughter of Telly Savalas, on Friday, June 1. Local powerhouse Frankie Moreno will appear twice on Tuesdays, June 5 and 19. Italian singer Giada Valenti with “From Venice with Love” is Thursday, June 7; Paula Cole whose song “Where Have All the Cowboys Gone?” was a hit in 1997 will appear Friday and Saturday, June 15 and 16; always popular The Lon Bronson Band will raise the roof on Saturday, June 23; and Michelle Johnson with her “Salute to Singer-Songwriters” ends on a high note Friday, June 29. A CELEBRATION OF DJANGO REINHARDT AND GYPSY JAZZ: DjangoVegas! Gypsy Jazz Festival, the annual celebration of the music of Django Reinhardt and other gypsy jazz musicians, will be held Saturday, June 16 from 4–10 p.m. at the Historic Fifth Street School, 401 S. Fourth Street. Tickets are $20. Local musicians will hold an open jam session from 4-6 p.m. The performance starting at 6 p.m. will feature The Black Market Trust, Harmonious Wail with Björn Thoroddsen, and Hot Club of Las Vegas. The event is open for all ages. PIFF THE MAGIC DRAGON IS GOLDEN TIKI’S NEXT SHRUNKEN HEAD: Piff the Magic Dragon, resident headliner at the Flamingo and stand-out star of NBC’s “America’s Got Talent” and Penn & Teller’s “Fool Us,” will see his shrunken head when it’s unveiled at The Golden Tiki at 3939 Spring Mountain Road on Wednesday, May 16 at 10:45 p.m. The miniature likeness is created exclusively for The Golden Tiki’s cabinet of curiosities by Smithsonian artist Terry Barr over the course of four weeks. 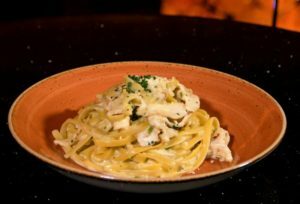 TREVI Italian Restaurant, located in The Forum Shops at Caesars Palace, has expanded its popular “2-Course for $20” lunch menu with two flavorful new selections – fettuccini alfredo and spaghetti Bolognese. Hussong’s Cantina at The Shoppes at Mandalay Place now has an exclusive menu collaboration with Chef Katsuji Tanabe from Bravo’s “Top Chef” Season 12. Menu items start at $10. Katsuji, born and raised Mexico, is the son of a Japanese father and a Mexican mother. He recently opened The Nixon Chops & Whiskey, a Mexican steakhouse, in Whittier, Calif.
Grammy Award winning veteran R&B group, Kool & The Gang, known for its funky style and 25 Top-10 hits including “Celebration,” “Cherish,” and “Joanna,” will headline at The Club at the Cannery on Saturday, June 23 at 9 p.m. Tickets start at $39.95. 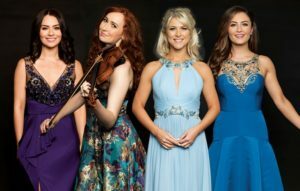 “Celtic Woman: Homecoming Tour” will celebrate Ireland’s rich musical and cultural heritage at The Smith Center in Reynolds Hall on Sunday, May 20 at 3 p.m. Ticket range is $48 to $108. “Xavier Mortimer’s Magical Dream” show playing at Planet Hollywood’s Sin City Theatre is offering a two-for-one ticket special (use code XM1824TR) Saturday, May 26 through Monday, May 28 at 7 p.m. Tickets start at $49 general admission and $69 VIP. The Opportunity Village Performing Arts Program is holding their 8th annual Performing Arts Concert, “OVation: World of Discovery,” on May 24 at 6 p.m. in the Kitty Rodman Event and Multipurpose Center at the Engelstad Campus, 6050 S. Buffalo Drive. Talented OV actors, singers and dancers will showcase a wide-variety of cultural dances and tunes from around. Admission is free; a packed is the goal! MOB MUSEUM SPEAKERS AND BOOK SIGNINGS: The Wiseguy Speaker Series at the Mob Museum will feature author Larry Mazza on Thursday, May 17 at 7 p.m. with a book signing. Mazza’s personal history memoir, “The Life,” tells his story of a fateful entanglement leading to his deep involvement in New York’s La Cosa Nostra. Mentored by Greg “The Grim Reaper” Scarpa, Mazza found himself immersed in the Colombo Family war, ultimately landing in prison. On Friday, May 18, there will be a free book signing in the museum’s retail store with Daniel Simone, the author of “The Pierre Hotel Affair” from 2-5 p.m. At 4 a.m. on Jan. 2, 1972, eight tuxedo-clad thieves executed the biggest unsolved jewel heist in American history inside New York City’s famous hotel. Though some of the gang members were caught, none were convicted of this crime. On Saturday, May 19 at 2 p.m. in the Goodman Room on the third floor, R. Scott Decker author of “Science of Crime: Recounting the 2001 Anthrax Attacks” will tell his story leading the FBI team of hazmat specialists into New York City’s ground zero and then joining the Amerithrax Task Force tackling the anthrax threat. Seven days after the horrific terrorist attack of Sept. 11, 2001, a new wave of terror swept the nation when a handful of letters were dropped in the mail resulting in five people dying and 18 being disfigured by the inhalation of the deadly white powder. For Mazza and Decker, the events are free with admission to the museum and for members. Hard Rock Cafe Las Vegas Strip is holding UFC Watch Parties on Saturdays, June 9 and July 7 at 7 p.m. Tickets are $25 and $35 respectively. Beer Park at Paris will hold National Basketball Association (NBA) finals viewing parties and game-day beer specials starting on Thursday, May 31. Basketball fans wearing their favorite team’s apparel during the best-of-seven final games will receive a complimentary Budweiser Signature draft. Dive-in movies will be held for free at VooDoo Beach at the Rio on select Fridays throughout the summer beginning at sunset. Movie dates are: May 25 “Justice League;” June 15 “Thor: Ragnarok;” June 29 “Jumanji: Welcome to the Jungle;” July 20 “Star Trek;” Aug. 3 “Jurassic World;” and Aug. 24 “Cars 3.” SafeNest’s 7th Annual Spring Tea fundraiser will be held at the Mandarin Oriental on Saturday, May 19 from 1-4 p.m. Sad to say, at least one in every three women and one in every seven men will experience domestic violence in their lifetime. Tickets online are $85. Remedy’s St. Rose bar in Henderson will celebrate its 11th Anniversary on Saturday, May 19 with an ’80s rocker-themed party beginning at 7 p.m. Evening includes a dinner buffet, drink specials, a DJ, costume contest and other prizes. There is no party cover charge. NEVADA & CALIFORNIA PAGEANTS WILL BE HELD IN LAS VEGAS: Newly established United States of America Pageant will hold Teen, Miss, Ms. and Mrs. competitions for women from Nevada and California July 27-29 at the Conference Center of Las Vegas at 6590 Bermuda Road. Eligibility for all four categories include being a U.S. citizen, naturalized or with granted permanent residency by the United States. Age requirement must be by Jan. 1, 2019. Requirements for contestants are: teens between ages 13 and 17; Miss between 18 and 28; Ms. at least 29 or older; and Mrs. at least 18 or older and legally married. 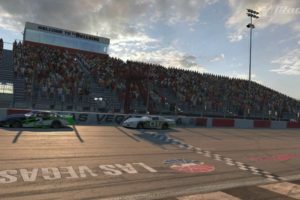 NASCAR’S YOUTH ESPORTS RACING SERIES INCLUDES THE BULLRING: The Bullring, the 3/8-mile paved oval at Las Vegas Motor Speedway (LVMS), will be featured in NASCAR’s newly launched youth esports series – the first esports competition created to attract and identify young talent – on iRacing, which is the world’s premier racing simulation platform. Kicking off in June, the 12-week racing season will feature The Bullring’s event on Wednesday, Aug. 1. The youth series will be open globally to participants ages 13-16. The first eight events will be open to all participants. The 50 racers accumulating the most points will qualify to compete in the four-week playoffs, and the top 30 in points will advance to a final championship event. This year’s BFGoodrich Tires Mint 400 powered by Monster Energy television show will air on ABC’s “World of X Games” May 19 at 3 p.m. EST/noon PST featuring 400 of the world’s top off-road racers. 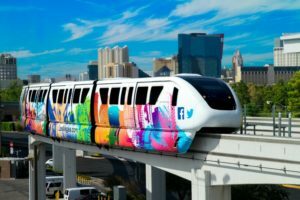 The Las Vegas Monorail Company’s Memorial Day weekend promotion is offering patrons $5 off the purchase of 2- or 3-day multi-ride Monorail passes now through May 31. The Regional Transportation Commission of Southern Nevada (RTC) is celebrating National Bike Month with half-off RTC Bike Share passes for the month of May. Online riders can purchase the discounted 30-day pass for $10 or the 24-hour pass for $4, which is also available at bike share kiosks. 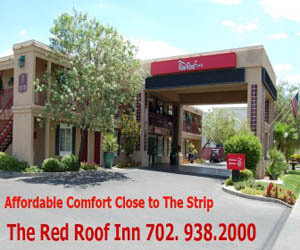 There are 21 stations located throughout downtown Las Vegas. The Mob Museum is offering buy-one, get-one admission May 12-19 for all federal, state and local law enforcement professionals with a valid I.D. For the entire month of May, individuals who donate blood at any United Blood Services location in the Las Vegas Valley will receive a single-day passport for free to SeaQuest Las Vegas, the interactive aquarium at The Boulevard Mall. 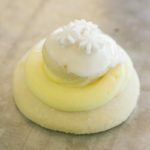 The Sugar Cookie with two locations in Las Vegas has launched a Cookie Flavor of the Month starting this month with “The American Princess,” an Elderflower Lemon cookie in honor of the upcoming Royal Wedding until Saturday, May 19. YETI, the premier provider of ice chests and drink ware, is now the exclusive sponsor for the South Point Arena and Equestrian Center concession stands which are being rebranded “YETI Refreshment Zones.” Beverly Hills Rejuvenation Center (BHRC) with its debut Las Vegas-spot in Boca Park opened its second location in Downtown Summerlin. The premier medical spa is popular with celebrities including stars of Bravo’s “Real Housewives of Orange County,” Gretchen Rossi and Slade Smiley.